Those closest to Nipsey Hussle aren’t going to let the late rapper’s legacy fade just because the whirlwind hype surrounding his murder has started to dissipate. A friend and business partner of the slain rapper named David Gross has come forward to share that before he was killed, Nipsey inked a deal to become part owner of a resort called Virgin Las Vegas that is scheduled to open in 2020. It was announced in January of this year that the Hard Rock Hotel & Resort in Las Vegas would be closing its doors and switching to Richard Branson’s Virgin brand come sometime next year. That news is no surprise considering Nipsey knew how to make money moves and established himself as a boss and businessman for years. TMZ also reports that the rapper was in the middle of creating a foundation that would help his Crenshaw community, a project that his family will carry on. The foundation was aimed to not only improve the quality of life for residents in the South Los Angeles area but specifically for the youth in the community. According to the publication, the foundation is going to work with local schools to rebuild playgrounds, improve the quality of public parks, and move forward with STEM (science, technology, engineering, and mathematics) programs for students. 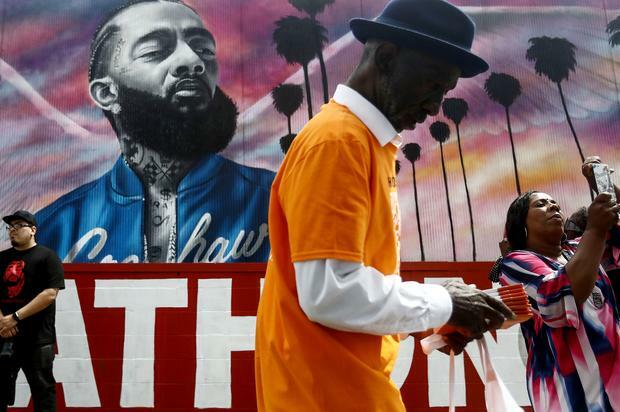 L.A. City Councilman Marqueece Harris-Dawson told TMZ that the Nipsey had already donated shoes to kids at 59th Street Elementary and repaved the basketball courts there.